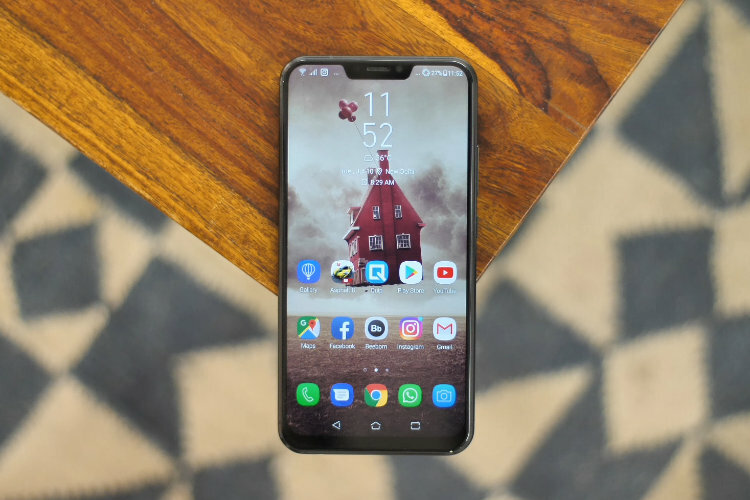 Taiwanese handset maker Asus on Friday said the 8GB RAM and 256GB storage variant of its new flagship Zenfone 5Z smartphone will be available starting July 30 on Flipkart for Rs 36,999. The smartphone is powered by Qualcomm Snapdragon 845 chipset, coupled with 8GB RAM and 256GB internal storage. The smartphone’s 6GB RAM + 64GB variant went up for sale on Flipkart on July 9 priced at Rs. 29,999 alongside the 6GB RAM + 128GB storage version carrying a price tag of Rs. 32,999. However, the top-end variant with 8GB RAM and 256GB of internal storage has so far been unavailable and is now finally going on sale starting July 30, 2018. ZenFone 5Z comes with a 6.2-inch SuperIPS FHD+ display with a 19:9 aspect ratio and has dual 5-magnet speakers that put out stereo sound powered by dual NXP amplifiers. The device has four 0.06-mm slim carbon cooling pads that efficiently dissipate heat and maintain top performance at all times, the company claimed. The Zenfone 5Z is powered by the Snapdragon 845 SoC and sports a dual-camera setup at the back, with the primary sensor being Sony’s 12-megapixel IMX363. The camera comes with a f/1.8 aperture, 83-degree field of view, 24mm equivalent focal length, and a Softlight LED flash. The secondary camera has an 8-megapixel sensor with a 120-degree wide-angle lens, a f/2.2 aperture, while an 8MP camera is there to take care of selfies. It houses a high-capacity 3300 mAh battery with Qualcomm “QuickCharge” 3.0 fast-charge technology. ZenFone 5Z introduces AI charging to maximize the battery life. Additionally, there are face unlock, rear fingerprint sensor and the integrated NFC features in the smartphone, alongside the ZeniMoji feature, which is the company’s version of Apple’s Animoji and Samsung’s AR Emoji.